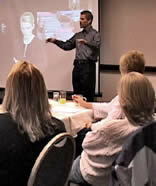 Our leadership training workshops and seminars are all developed by Roger Reece. They are also delivered by Roger Reece. Many of the leadership training programs available today are delivered by a staff of corporate trainers who have learned how to deliver a standardized curriculum. But effective leadership training is more than information transfer. If you want effective leadership training, make sure you're getting it from an effective leader. 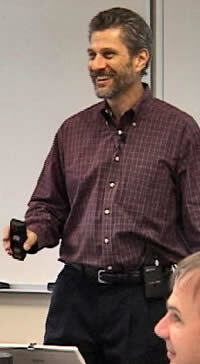 Prior to creating Roger Reece Seminars in 1998, Roger Reece was a corporate executive for 25 years. 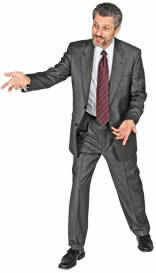 In his various roles with three large corporations as District Sales Manager, Director of Product Development, Director of Product Marketing, Vice President of Marketing and Vice President of Business Development, Roger developed the qualities and skills of effective leadership through trial and error. Roger has an MBA, but many of the most valuable leadership lessons he has learned have been learned through his mistakes. On the road to leadership, every manager makes mistakes. Effective leaders learn valuable lessons from those mistakes, and as a result, they set their course for continuous improvement, personal growth and behavior modification. In Roger's workshops, he shares personal stories of successes, failures and lessons learned through the school of hard knocks. His training style is genuine and personal. He is very direct and gets to the heart of each issue, and he is skilled at engaging participants in open discussions about the real challenges of leadership. Leadership is not confined to the workplace. In Roger's workshops, he also focuses on leadership in families, personal relationships, personal finances and in achieving an effective work/life balance. 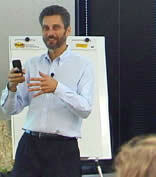 The implicit theme of his workshops is the leader's ability to create value in all aspects of life. People naturally follow effective leaders because they sense that value and are drawn to it. Roger Reece is an author, motivational speaker, trainer, business coach and management consultant. He conducts over 100 workshops and presentations each year, and has helped thousands of business professionals to become more effective leaders. "My dad was the funniest guy I've ever known." Roger's father, Jack Reece passed away in 1994, and a year later, Buford P. Fuddwhacker was born. Buford is Roger's alter-ego; a wild & crazy country philosopher, and a caricature of Roger's dad. "My dad was a farm boy from rural Indiana with an overactive Hoosier sense of humor, a country preacher's delivery and style, and a ton of good old-fashioned horse sense." As Vice President of Marketing for a technology company in October of 1995, Roger hosted an all-day Halloween party where all employees were decked out in their most creative Halloween costumes. Roger's role was to host the day's events and to keep the fun rolling all day. His costume for the day lived on to become his alter-ego, Buford P. Fuddwhacker. 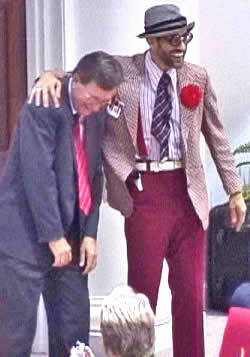 "I had so much fun as Buford, I just couldn't let him die. My dad, my suppressed inner child, an over-the-top personality and the country-preacher persona I never lived out - all found their expression through Buford." For the next three years, Buford became the company mascot and motivational speaker at every company function. 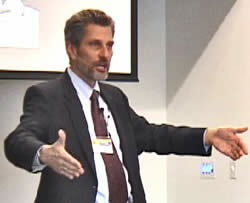 When Roger Reece Seminars was founded in 1998, Buford became the unofficial Vice President of Humor. Today, Buford's role is to work with Roger to bring fun and laughter to his workshops and motivational presentations. Visit our Fun Motivational Keynotes website (www.funmotivationalkeynotespeaker.com) for more information. Contact us for online videos, and more information about how Buford Fuddwhacker can beef up the humor in your leadership workshop, business meeting or conference.